As more and more pop up all over the world, the concrete jungle might just start looking like an actual jungle. Design concepts for the cities of the future usually involve a number of ideas that challenge current norms — whether it be in architecture, city planning, or materials engineering. Some of these are quite fascinating, and others border on science fiction and the absurd. Many concepts, even those that are at first seemingly a bit strange, are already seeing applications today. One example are a series of functional mobile installations that have been popping up in a number of cities all over the world. 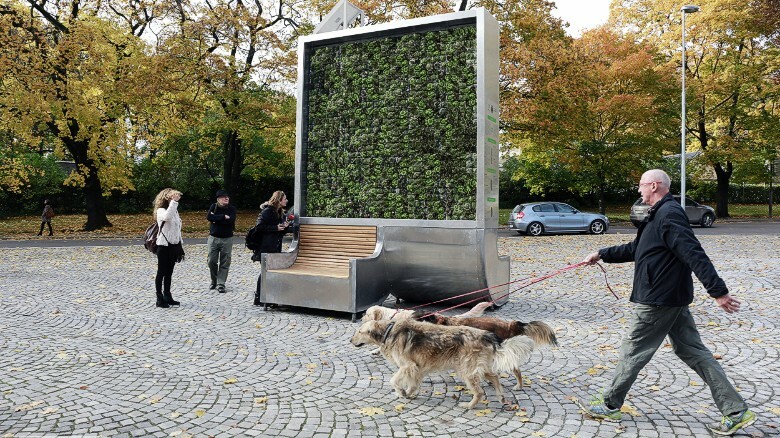 Developed by Berlin-based tech startup Green City Solutions, these mobile installations work as trees in the middle of cities — hence the name CityTree — to filter air. Since actual trees take time to grow, CityTree isn’t exactly a tree — it’s actually a moss culture. “Moss protected by plant coverage binds particulate matter, nitrogen oxides and CO2e and produces valuable oxygen. At the same time it cools the surrounding air,” according to the company’s website. Each installation is about 3 meters (9.84 ft) wide, stands at almost 4 meters (13.12 ft) tall and were planted 2.19 meters (7.19 ft) deep. The best part about CityTree, Green City Solutions claims, is that it’s capable of providing the same environmental benefit 275 actual trees would. It’s able to absorb some 250 grams of particles per day, removing 240 metric tons of carbon dioxide every year. “Moss cultures have a much larger leaf surface area than any other plant. That means we can capture more pollutants,” Zhengliang Wu, co-founder of Green City Solutions, told CNN. Wu was part of a team that conceptualized the idea and installed a CityTree in Brussels four years ago. Each has Wi-Fi-enabled sensors capable of measuring the quality of air around it. 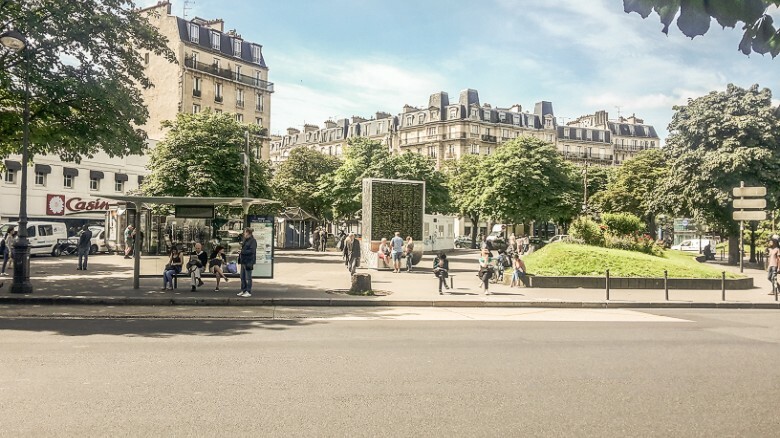 Since it takes up a relatively small space and can be installed fairly seamlessly in parks (even accompanied by with benches) CityTree has proven to be an efficient and fairly cost-effective (they cost around $25,000 each to install) strategy for cleaning the air. Global air pollution continues to be a huge problem, as the World Health Organization notes — especially in urban centers. 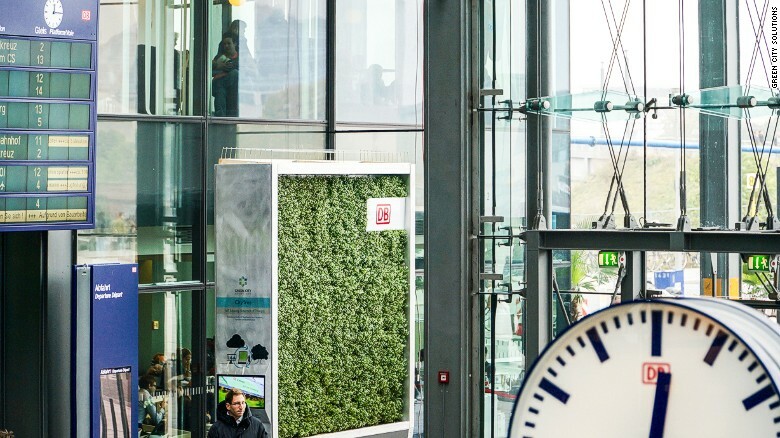 This is why Green City has already installed around 20 of their “trees” in cities throughout the world, including Oslo, Paris, and Hong Kong. CityTrees are currently being installed in Modena, Italy and plans to introduce it to low-income countries that have high levels of pollutants — like India — are on the way as well.